All good things come to an end and, alas, the 2016 Epic Giveaway is drawing to a close. In partnership with ARM, HEXUS has been giving all our readers the chance to win incredible smart devices throughout the holiday season and today we go out with a bang with one more fantastic piece of gear. 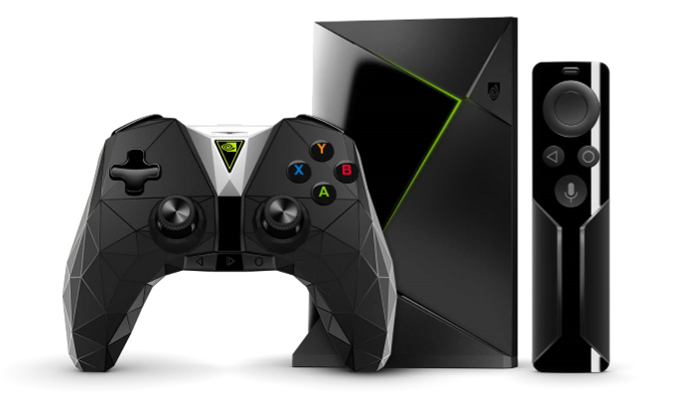 It's the brand-new Nvidia Shield TV. Refreshed for 2017, this compact device promises "the smoothest, fastest, highest-quality video and game streaming." Powered by a Tegra X1 processor offering a 64-bit CPU and 256-core Nvidia GPU, Shield TV is 4K HDR ready and could be the perfect way to extend your GeForce gaming experience into the living room. Want to be in with a chance of winning? Answer the following simple question, and don't forget, you can also claim a free second entry via Facebook. Good luck and thank you for taking part in the 2016 Epic Giveaway! The competition winner will be picked at random from all eligible entries that arrive by 22:00 GMT on the closing date, January 12, 2017. The winners will be notified via email by January 19, 2017. The winner must claim their prize within 7 days of the promoter sending notification. If the prize is unclaimed after this time, HEXUS reserves the right to offer the unclaimed prize to a substitute winner selected in accordance with these rules. The prize is an Nvidia Shield TV. Was expecting a Shield with pascal in it but still very nice.